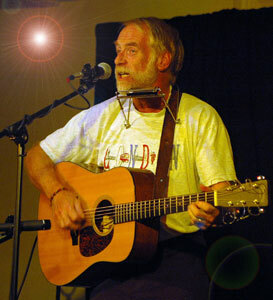 David Mallett, one of America’a most revered songwriters, has a song called “Greenin’ Up Real Good” that shows how spring is finally born in New England each year. This will no doubt be a favorite (and a welcome one at that) when he plays the Rose Garden Coffeehouse in Mansfield on Saturday, April 19. Personally, I know that every spring I look at our backyard in North Attleboro, Mass., and anxiously wait for the grass to start “greenin’ up real good.” When it does, I think of David Mallett. The songwriter comes by his fascination with the land and nature very honestly. “Having grown up around country people and farmers, I feel like rural life has always been the wellspring for a lot of my best work,” Mallett said. He does most of his writing in an old farmhouse in Maine gazing across the field with a tintype of his great-great-grandfather looking down at him. “Having grown up around country people and farmers, I feel like rural life has always been the wellspring for a lot of my best work,” Mallett said. He does most of his writing in an old farmhouse in Maine gazing across the field with a tintype of his great-great-grandfather looking down at him. He puts his passion to work in the real world, too. He supports worthy causes like the Maine Farmland Trust, which essentially helps prevent valuable farmland from being turned into housing and strip malls. This innate feeling for nature is evident in so many of his songs, none more so than “The Garden Song” with the unforgettable line, “Inch by inch, row by row, I’m gonna make this garden grow.” This song has been recorded hundreds of times, starting with such luminaries as Pete Seeger, John Denver, The Muppets, and Peter Paul & Mary. 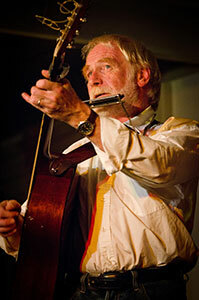 For decades, he has performed in town halls and folk clubs across America and Europe in addition to major venues such as Barns of Wolf Trap, the Newport Folk Festival, and “Prairie Home Companion.” Named one of the most memorable “Mainers” in the millennium edition of The Bangor Daily News (along with Marshall Dodge, Andrew Wyeth, E.B. White, Stephen King, Edna St. Vincent Millay, and others), Mallett’s songs are filled with passion, evocative imagery, and a sense of the inevitable passage of time. The struggle of the common man and the loss of American towns and landscapes are the subject of many of his songs. Mallett’s appearance will be part of the Rose Garden 25th Anniversary Celebration. Started in 1989, the Rose Garden is one of the oldest continuously-running folk music coffeehouses in New England. Doors open for the 8:00 pm show at 7:30 pm and there will be a limited number of tickets available at the door. Advance sale tickets are recommended and may be purchased at www.rosegardenfolk.com.